Was another great day and like the others have already said a big thanks to everyone who helped organising it. Thanks Ben and the BaT/circuit team. Is it wrong to fancy a ferret? Thanks Ben and BAT and everyone else .. great couple of days and the orange machine didn't fail us this time. Sunday was just perfect, Monday ..er challenging - very careful throttle control needed ! Firstly, thanks Ben, and all of you for being a great bunch to enjoy sharing time with. WELL THEN, my journey home. Left about 17:30, got home 280ish miles later at 08:00. That was under Exige power for about an hour, then AA incompetence for another 11, with the Lotus reaching me 5 hours after. To cut a long story short: 4 trucks, a taxi and at the end of it they locked my keys in the car. In fairness, all the AA people I met were pretty good, it was the organisation that let them down. Now I just need ANOTHER plan to keep my CVs from exploding. Great day as always and huge thanks to Benja for organising. Many thanks to the team for a great day out - I had a superb time along with my son on his first ever trackday- he’s now smitten. Cheers guys and here’s looking forward to next year’s event. Also personally- I do hope it’s at Anglesey and its at Easter again - it’s the perfect formula. Thanks to Ben for organising and BaT for running the day... I've enjoyed lots of Exiges.com trackdays over the years and this one was no exception despite the weather. The challenge of trying to complete the perfect drift on each corner of the circuit was certainly lots of fun! Loved it and love Anglesey as a circuit, there are not many circuits that can match Anglesey for scenery. Despite having moved on from Lotus ownership it's still great to catch up with everyone. MADE IT BACK TO BUDAPEST BABY!!!!!!!! but we made it back 340R and Evora convoy! Anglesey was brilliant. 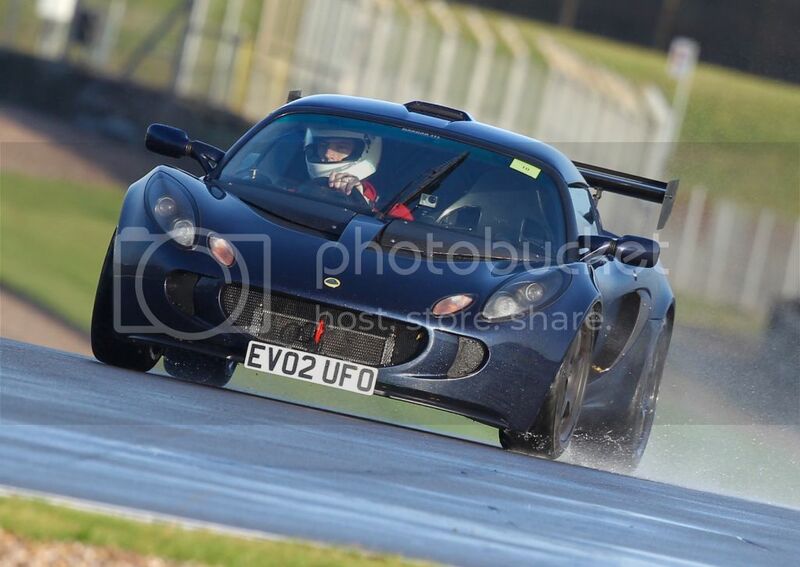 I had so much fun in the Evora in the wet. Everyone should try one, they are fantastic. Thank you Ben and all the exiges gang. A great time as usual! Brilliant day on Monday despite the weather and lack of Exige. Great catching up with everyone. Thanks Ben for organising, and BAT for a well run day especially considering the conditions. Some laps pretending to be a ferret. Excuse the driving. Best viewed on phone or iPad.